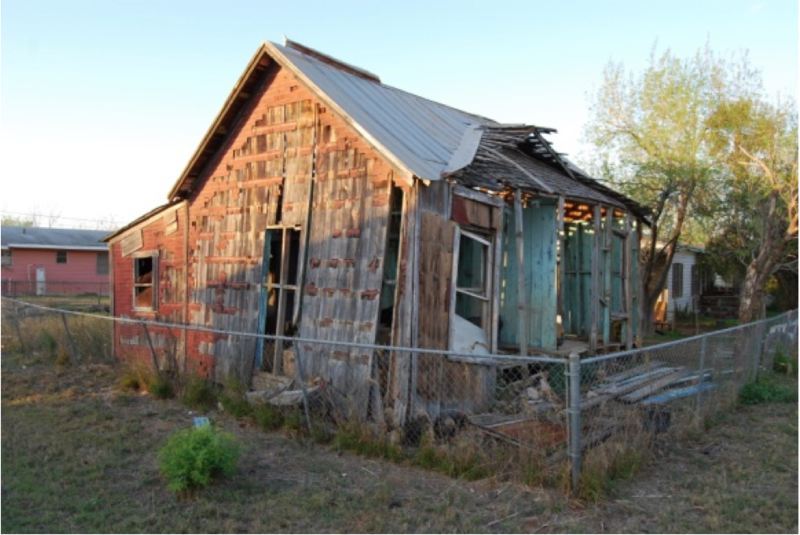 ASHERTON, DEMMIT COUNTY, TEXAS …USA! You no doubt will wonder why I had to add the initials USA to a place that is obviously part of our country; simple, PATRIOTISM is something special in Texas..like everything else…. You are in for a surprise when you open the LINKS below. WHAT IS MEANT BY TEX-MEX? When I interviewed one of my amigos from Asherton, I asked questions about their parents and grandparents. On February 12, 2012, Ponchito Benavidez "100th" birthday replied to a question that answers the TEX-MEX phenomena. (paraphrased) People came and went back to Mejico any time they wanted, he said. I came to Asherton as a child and stayed. He added that his parents knew many people on both sides of the Rio Grande. The elders had a fresh recollection of "The Treaty of Guadalupe" and the multiple impact and more bad than good that the Agreement had on the Spanish speaking population who decided to stay north of the Rio Grande. Most of the people whom I have interviewed have indicated that the northern part of Old Mejico which is now the US was a migratory territory for their ancestors. Many have also sought to research their blood line which is seldom discussed. A distant cousin - Sarah Zavala Brown- of mine, received her Registration of authenticity "Lipan Indian" a tribe common to parts of Tejas. Mathematically it is safe to say that a young man of 100 whose mind was clearer on historical facts than the interviewer's … Ponchito was proud of his history and detail-recall ability. His wit was quick, suave and relevant. I will never forget the time that he told me that he was getting tired of celebrating birthdays every year. "Why can't I celebrate my birthday every 5 years"… Nothing wrong with HIS ATTITUDE! I reached out and shook his hand as I laughed with respect and admiration as mentally rejuvenated my own attitude about LIFE. GRACIAS PONCHITO! "Señor Salinas vaya a ver la casa de su papá antes que regrese a Oregon"
A classy caballero addressing me as Señor…something to appreciate and respect. As I approached the house my body and soul was filled with something that I had not known since 1954. A "could-have…should-have..." moment was immediate. A home with story of 100 years could have created many links between my dad and his FAMILIA. After my fist visit with Ponchito, he became part of my circle. My wife Lidia and I went to see him two other times before he passed away Nov. 26, 2014..102 years 9 months. Ponchito lived his life like no one else. Although born in Mejico his heart was Tejano. He retained his native language that over time became a good mix of El Norte and The South! Not often does Miguel or any one meets a True Tex-Mex. Ponchito set an example and was appreciated and respected by ALL. In 2010 Asherton celebrated "100 Years" Only 2 years before Ponchito's 100! Ponchito: "I am proud to have been born on the same date that our President Abraham Lincoln was born; Feb.12th" as some Tejanos would say "them are patriotic words"
Tex-Mex represents geography, but also a life style and much more!